The French city will host the first ever edition of the newly relaunched competition. The venue for the first edition of the Men’s EHF Cup Final Tournament has been announced in Belgrade on the fringes of the 10th Women’s EHF European Championship, being held in Serbia from 4 to 16 December 2012. The announcement, before the draw for the Group Phase of the competition, sees the event awarded to the French city of Nantes and to HBC Nantes. The French league club will itself compete in the Group Phase of the competition for a place in the Final Tournament. The club has agreed to host the event even if they do not qualify for the final event. Nantes and surrounding region in western France, boasts 27,000 handball players and 177 handball clubs and the city of Nantes prides itself on its sporting heritage. Amongst many international handball events, the city hosted the Women’s World Championship in 2007. HBC Nantes has also hosted the French League Cup in 2010 and 2011, selling out their 5,000 seat arena on both occasions. President of HBC Nantes, Gaël Pelletier, who was awarded with a new official ball of the Men´s EHF Cup by Brihault, said: “I would like to thank the EHF for the vote of confidence in our club. This nomination is above all a reward for the 120 enthusiastic volunteers of the club who are working daily to build the history of our club with a big `H`. The re-launched Men’s EHF Cup was formed from the merging of the former EHF Cup and Cup Winner’s Cup, threw off at the start of the 2012/13 season. The Final Tournament with four teams playing semi-finals and finals over two days -18 / 19 May 2013. The second tier of top-class European club handball competition, the new EHF Cup, and the competition’s final phase in particular, will be some of the real highlights of the European handball calendar. 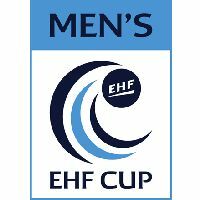 The full results of the Men’s EHF Cup Draw can be found on the official EHF website - eurohandball.com.